I am a 68 year old retired man.... who had the surprise of a lifetime just a month ago. Here is my story. I was at a local store and a young lady whom I know a little .. (we live in a small town .. less than 5000 people)... came up to me a said hi. I shopped a little more and suddenly there she was again.. she started a conversation which ended up with ..she's your daughter! I had no idea of her existence... she was given for adoption at only 2 days... raised in a very affluent local family. She was told never to contact me as it was a closed adoption. Long story short, she, after age 18 found her birth mother... found out about me.. but had never contacted me .. however had crossed paths and spoken to me several times.. her knowing.. me not knowing. So I contacted this young lady and she is now 43.. we have had some good conversations and have met once. She and her family are in the process of moving across the country so we will be limited to visits only occaionally. I hope we can at least be friends. Advice? Comments for Just met my 43 year old daughter! Just met my 43 yr old dtr. See if you believe in God you know this is him working in your life right now. You can be so grateful and enjoy!! Please say a prayer and thank God for this blessing! Tell your daughter to ask her adopted parents if they would mind if she kept occasional contact with you in the future. As people grow old, they mature and mellow down; and their mindset goes through major transformation. Hopefully her adopted parents have undergone similar changes in thinking, and might allow her to be in touch with you! Good luck. Hope your dream materializes. Your 43 year old biological daughter has reached out to you. She doesn't need her adoptive family's permission to have a relationship with you. Just keep in touch with her and see where it goes. Look to develop an adult friendship with your adult daughter. 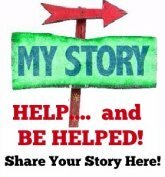 Tell her you would like to keep in touch by email or phone and that you would like to hear about events in her life and would like to share your events with her. There is always skype on your computer. Make it known that you want to be in her life. First of all ask your "daughter"...what can I do to keep in contact when you move, without upsetting your family. A few phone calls and snail mails occasionally should be ok but ask. Good luck and be happy she's had a good life and contacted you.